Pro Tip: if you use these discs with a Rupes polisher, watch for the heat build-up. Too much heat may delaminate the disc. 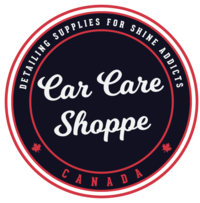 Copyright 2019 Car Care Shoppe Canada. A divison of Upper Class Detailing. All Rights Reserved. Click the button below to add the Meguiar's 5" DA Microfiber Finishing Disc (2-Pack) to your wish list.